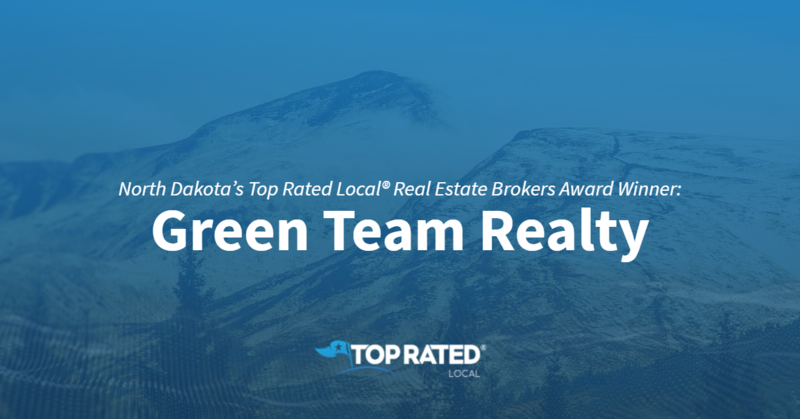 Top Rated Local® is pleased to announce that Green Team Realty is a two-time 2019 award winner in North Dakota! Whether you’re buying or selling in the Fargo-Moorhead-West Fargo area, turn to a real estate team you can trust by turning to Green Team Realty. Green Team Realty has received dozens of reviews on three verified sites with an average rating of 5.00 stars, earning them a spectacular Rating Score™ of 96.00 and two 2019 Top Rated Local awards — one for being ranked among the top 100 businesses and one for being ranked the number one real estate broker in North Dakota! “Alicia made our first home-buying experience exceptionally easy. She was always available to answer questions and guide us through the buying process. 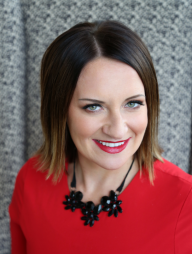 We are truly looking forward to working with her for future purchases!” – Sammy Jo S.
Tracy Green, a Broker at Green Team Realty, generously gave us a few minutes of her time to tell us a little bit about this award-winning business and its phenomenal online reputation. Congratulations to the team at Green Team Realty for being a 2019 Top Rated Local award winner, and thank you so much, Tracy, for taking the time to speak with us! We highly recommend Green Team Realty in Fargo. Visit their website today! Top Rated Local® is pleased to announce that Allen Edge Real Estate Team is a 2019 award winner for real estate brokers in South Dakota! If you’re looking for a real estate team that can help you buy or sell in Sioux Falls, look no further than Allen Edge Real Estate Team. Allen Edge Real Estate Team has received dozens of reviews on multiple verified sites with an average rating of 4.93 stars, earning them a tremendous Rating Score™ of 94.26 and a 2019 Top Rated Local award for ranking among the top 10 real estate brokers in all of South Dakota! “Tara and her staff made our home selling and buying process smooth and fun! They supported us throughout the process and had constant contact with us each step of the way. We really cannot say enough about the personal level of attention we received and how happy we were with Tara and her staff! Thanks, Allen Edge Real Estate!” – Taunia R.
Tara Allen, the owner of Allen Edge Real Estate Team, generously gave us a few minutes of her time to tell us about her award-winning business and its stupendous online reputation. The first question we had for Tara was what sets Allen Edge Real Estate Team apart from their competition in South Dakota. Tara told us about the “Allen Edge difference,” that they offer clear expectations for their clients and that they have a client care coordinator who is there to help answer any questions they may have. We also wanted to know what their mission is at Allen Edge Real Estate Team and how they work to make the world a better place. Tara told us that their goal is to deliver first-class service through homeownership, and said that they host client and community events and partner with others to give back. “Growth – If we are not growing, we are dying. Push yourself daily, and stay in curiosity. Integrity – Integrity is the master key to freedom; we honor our commitments. Faith – Practice gratitude daily, forgive fast, love often and believe in yourself. Passion – The purpose of business is to fund a perfect life; live in your passion daily! Family – We create a family through trust, encouragement and support. Fun – Life is short; enjoy it! Tara attributes Allen Edge Real Estate Team’s strong online reputation to their commitment to educating buyers about the housing market. Outside of building a powerful online reputation, Allen Edge Real Estate Team has gotten their name out there through word of mouth, video spotlights with various businesses, listings that have a Allen Edge identifier and their use of a professional photographer for all of their listings. Congratulations to the team at Allen Edge Real Estate Team for being a 2019 Top Rated Local award winner, and thank you so much, Tara, for taking the time to speak with us! We highly recommend Allen Edge Real Estate Team in Sioux Falls. Visit their website today! 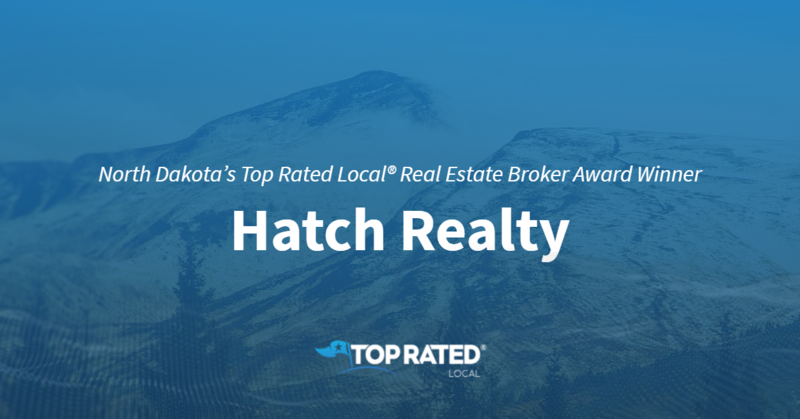 Top Rated Local® is pleased to announce that Hatch Realty is a 2019 award winner! “We’ve been in our home for almost five years and it’s still clear as day how great this company was to work with. No pressure- they make you feel comfortable, optimistic and excited about this awesome stage in your life. They still treat us as customers inviting us to special events and holiday promotions. Hatch is a compliment to the community as a whole.” -Megan O.
That’s just one of the more than 300 fantastic reviews Hatch Realty has received, making them one of the top three real estate brokers in the entire state of North Dakota and giving them a 95.01 Rating Score™ and a 4.90 average star rating. Tyler Heins, Lead Buyer Agent at Hatch Realty, took some time to speak with us about the business’ outstanding online reputation. Congratulations to the team at Hatch Realty for being a 2019 Top Rated Local award winner, and thank you so much, Tyler, for taking the time to speak with us! Top Rated Local® is pleased to announce that Pauling Homes Team is a 2019 award winner for real estate brokers in Minnesota! 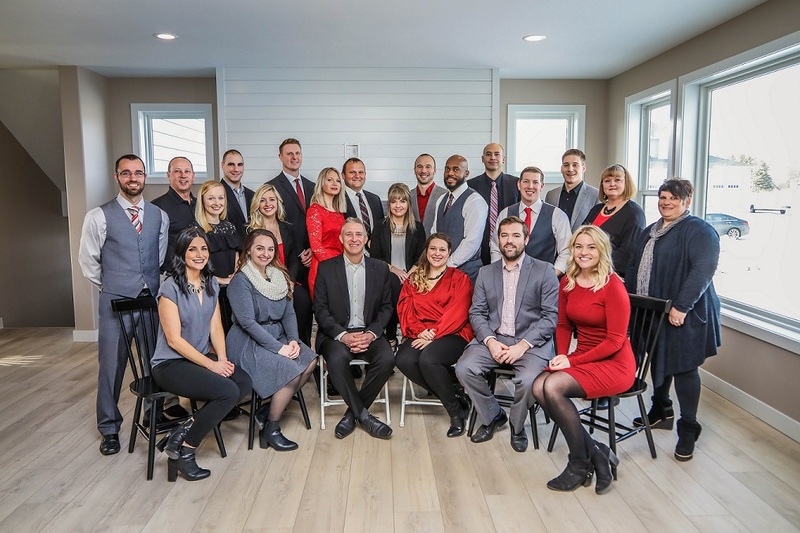 If you’re looking for a real estate team in the Twin Cities that can help you find the perfect home or get the most out of your home sale, look no further than Pauling Homes Team. Pauling Homes Team has received dozens of reviews on four verified sites with an average rating of 5.00 stars, earning them a spectacular Rating Score™ of 5.00 stars and a 2019 Top Rated Local award for ranking among the top 10 real estate brokers in all of Minnesota! “My family and I hired Pauling Homes to help sell our home after we were suddenly taken out of state. I can’t give the team more praise for going WAY above and beyond the call of duty to help us sell our home. You hire a Realtor® to get the job done (whatever it takes). The entire process was smooth and, in our case, quick. My only regret was not taking their design advice earlier. It ultimately brought in the traffic we needed to find our buyers.” – Brian B. We wanted to learn a little more about Pauling Homes Team and its incredible online reputation, so we took a few minutes to talk with Billy Pauling, Team Leader. Congratulations to Pauling Homes Team for being a 2019 Top Rated Local award winner, and thank you so much, Billy, for taking the time to speak with us! For all of your buying and selling needs, we highly recommend working with Pauling Homes Team. Visit their website today! 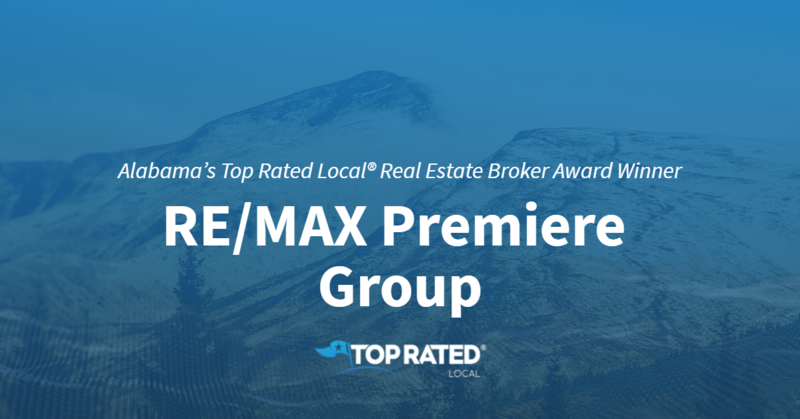 Top Rated Local® is pleased to announce that RE/MAX Premiere Group is a 2019 award winner! “[I] had a great experience working with RE/MAX and their great agents in the recent purchase of our home. They are very knowledgeable and provide great guidance throughout the whole process! 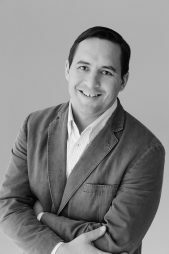 [I] definitely will use them again in the future if the opportunity arises.” -Zach W.
Kelly, the office manager of RE/MAX Premiere Group, took some time to speak with us about the business’ remarkable online reputation. Congratulations to the team at RE/MAX Premiere Group for being a 2019 Top Rated Local award winner, and thank you so much, Kelly, for taking the time to speak with us! 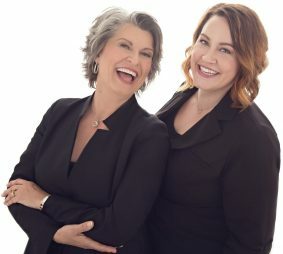 Top Rated Local® is pleased to announce that Brandenburg Crew, Inc. of EXp Realty is a 2019 award winner! “Best in the business! I cannot be happier to have worked with the Brandenburg Crew! The whole experience from start to finish was extremely fun and enjoyable. I am especially grateful to have worked with (who I now consider a family friend) [my agent]! I highly recommend this team to anyone looking for real estate help, advice, and direction. Thank you VERY much!” -Albert V.
Stacie Johnson, the Marketing and Listing Coordinator at Brandenburg Crew of EXp Realty, took some time to chat with us about her business’ outstanding online reputation. Congratulations to the team at Brandenburg Crew, Inc. of EXp Realty for being a 2019 Top Rated Local award winner, and thank you so much, Stacie, for taking the time to speak with us! Top Rated Local® is pleased to announce that Shirley Thomas REALTOR® is a 2019 award winner! “We were so happy with the results Shirley got for us in the sale of our home in Bismarck. We believe that the marketing plan and pricing strategy that Shirley used was just what we needed to not only get our home sold faster than the current market time, but was also the reason we got the price we were expecting to get. The added bonus was that her team took extra care and went above and beyond to help us long distance with some of the little details that we couldn’t accomplish without their expert help.” -Deanna R.
Shirley Thomas herself took some time to chat with our team about her business’ impressive online reputation. When it comes to the Shirley Thomas REALTOR® secret to success, it’s actually relatively simple. Shirley said it comes down to two things — honesty and integrity. 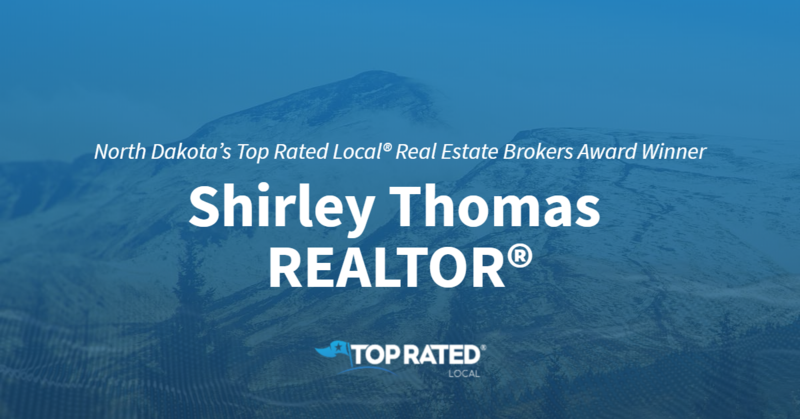 Congratulations to the team at Shirley Thomas REALTOR® for being a 2019 Top Rated Local award winner, and thank you so much, Shirley, for taking the time to speak with us! Minnesota’s Top Rated Local® Real Estate Brokers Award Winner: The Home Buyers, Inc.
Top Rated Local® is pleased to announce that The Home Buyers Inc. is a 2019 award winner! “I am so grateful we found Tim — the home buying process can be so stressful, and his top-notch service helped relieve some of that stress. 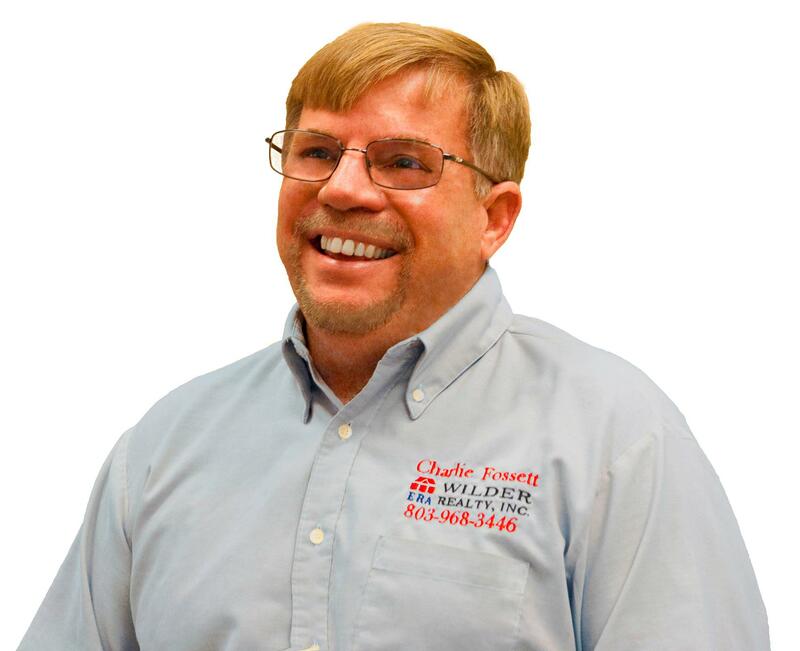 He was always available; he really listened to what we were wanting in a home; he is a great resource when it comes to giving you honest feedback about the pros and cons of a house (he is very knowledgeable), AND he was fun to work with. He also has a lot of integrity, and we liked the fact that he only represents buyers. Working with Tim and his team was a great experience.” -Trisha J.
Tim Walters, the owner of The Home Buyers, took some time to speak with us about his business’ terrific online reputation. 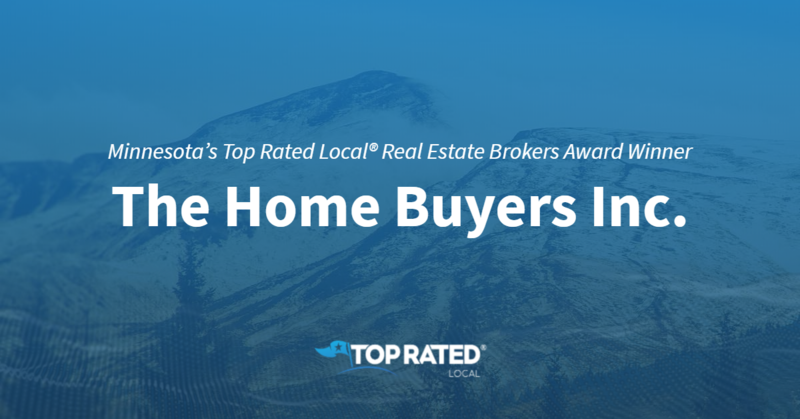 Congratulations to the team at The Home Buyers, Inc. for being a 2019 Top Rated Local award winner, and thank you so much, Tim, for taking the time to speak with us! 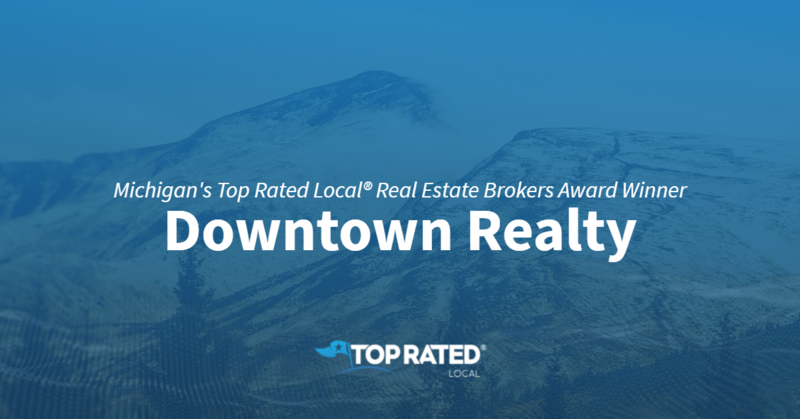 Top Rated Local® is pleased to announce that Downtown Realty is an award winner for real estate brokers in 2019. If you are looking for a real estate broker who will work tirelessly to help Detroiters with all of their buying and selling needs, look no further than this award-winning company! Downtown Realty has received many overwhelmingly positive reviews across five different verified sites with an average rating of 4.91 stars, earning them a perfect Rating Score™ of 100.00 and two 2019 Top Rated Local award for ranking as one of the top 100 businesses and the number one real estate broker in Michigan! “Downtown Realty is the only real estate agency I will be using to sell my properties. Their level of professionalism is unmatched, and their sense of urgency is second to none. They treated us with respect and kept us in the loop every step of the way. And to top it off, they sold my property in less than 30 days. There’s no need to look elsewhere; work with the best, [and that’s] Downtown Realty.” – B.M. We were excited to learn all about how Downtown Realty has been able to build such an impressive reputation, so we sat down with the CEO, Larry Else. The first thing we wanted to know was what it is that makes Downtown Realty stand apart from their local competitors. Larry told us about the positive atmosphere and good-vibes among the people who work at Downtown Realty. He also believes strongly that the quality of material they use to sell real estate is second to none. This helps them to meet their business’ mission, which Larry says is to help Detroiters and to offer sellers a quality service. Downtown Realty has been in business since 2014 and sold the most real estate in Detroit last year, a fact they are proud of. Larry says he believes Downtown Realty’s secret to such a strong reputation is having a unified team and offering exceptional customer service; to get happy clients. “The Downtown Realty team was extremely helpful, honest, and [helpful in guiding] us through the entire process of buying our home. We had not purchased a home in a long time so we had many questions that were answered in a way that made it feel like we were getting advice from a friend/family member, not a Realtor®. When we started our search, we wanted someone that would find as much information about the homes that were selling and renting in the area. The team at Downtown Realty went above and beyond to help us every step of the way. We closed on the house, thanks to their sound advice and superb negotiating skills.” – J.J.
Congratulations to Downtown Realty for being a 2019 Top Rated Local award winner, and special thanks to Larry for taking the time to speak with us!